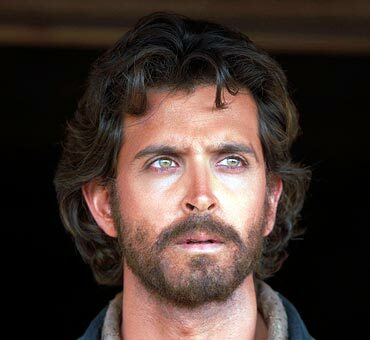 Rediff.com » Movies » When growing a beard matters! When growing a beard matters! Most of us love a clean-shaven hero. (We'll make an exception for Fardeen Khan, Neil Nitin Mukesh and John Abraham and their love-me-love-my-stubble stance). Yet, if the role demands a beard, facial hair becomes an unavoidable necessity. While there's no shortage of fake ones in the market, the new, improved Bollywood hero is veering towards authenticity. And so whether it's building a six-pack or six-week old stubble, he likes to keep it real. Confirming the trend is here to stay; Kaminey star Shahid Kapoor is growing a beard, as a part of his look, in dad Pankaj Kapoor's directorial debut, Mausam. 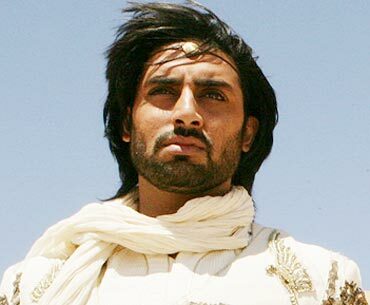 On that note, here's a look at Bollywood's beard-growing junta. As a master con-artist in Dhoom 2, Hrithik Roshan sported a variety of looks. But nothing quite compares to his Jesus Christ-inspired long-hair, bearded avatar in the upcoming thriller, Kites. Whether the audience gives it thumbs up, remains to be seen. Meanwhile, the actor who recently revealed his impressive singing skills isn't shaving yet. As part of his preparation for the role of a wheel-chair ridden paraplegic in Sanjay Leela Bhansali's Guzaarish opposite Aishwarya Rai Bachchan, Hrithik's required to maintain an unshaven disposition. Playing a do-gooder Sardar in Anees Bazmee's crazy comedy not only earned Akshay Kumar laurels for his acting chops but paid rich dividends at the box office as well. At the same time, his stylishly-trimmed beard evoked the ire of Sikh community who accused the action star of hurting their religious sentiments. 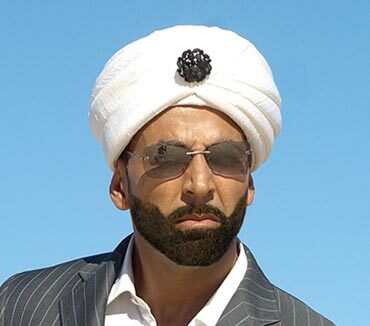 Previously, Akki grew coarse facial hair to appear every bit of an uncouth ruffian in Yashraj Films' Tashan. He repeated this look during the first season of his adventure-based reality show, Khatron Ke Khiladi. Stubble and Bachchan Jr are synonymous with each other. Right from his debut, Refugee where he flaunted a light growth to a full-blown beard in films like Umrao Jaan, Yuva and Drona, Abhishek was, not so surprisingly, a rather welcome sight as the clean shaven visionary in Guru and Paa respectively. It is believed the dedicated actor didn't even shave during his grand wedding to Aishwarya Rai as he didn't want to disturb the continuity of his films. Chalti Ka Naam Daadi, anyone? Often dubbed 'chikna' in his initial days for his babyish looks, Saif Ali Khan donned a full-on scruffy get-up, growing a real-time beard among many other things, to create his look for Langda Tyagi. All the hard work paid off as Omkara continues to be heralded as his career-best performance. A few years later, Chhote Nawab turned producer with Imtiaz Ali's breezy romance, Love Aaj Kal in which he plays a Sardar. In a bid to come across as genuine as possible, Saif grew a real beard. Again, his efforts were rewarded with the movie doing roaring business at the box office. Considering mom Neetu Singh is a Sikhni, she must have been more than proud to see her darling son play one with such efficiency and conviction in Shimit Amin's critically-acclaimed Rocket Singh. 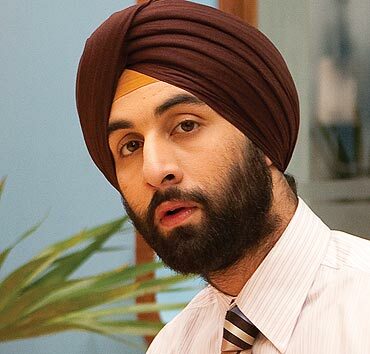 The Wake Up Sid star could have easily opted for a fake beard but in keeping with film's realistic spirit, he wanted his portrayal to be as accurate as possible. 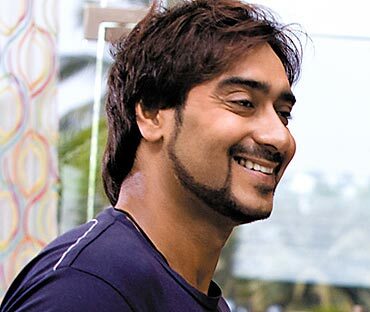 The last time he sported a spiffy goatee in Qayamat, it worked wonder for his box office position. And so for his home production, All The Best, directed by regular feature Rohit Shetty, Devgn not only altered his surname but also grew a tinted fuzz to lend his character a 'cool dude' touch. Doesn't he look like a leaner version of Sharad Kapoor here? Seeing a stubble on Bollywood's beloved Munnabhai is no biggie. 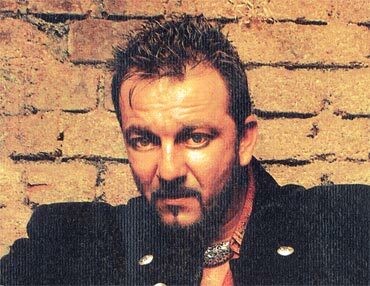 The actor, however, paid special attention to create a snazzy beard style for his roles as a self-styled underworld types. Needless to say his funky look was the only redeeming aspect of these otherwise lousy capers. 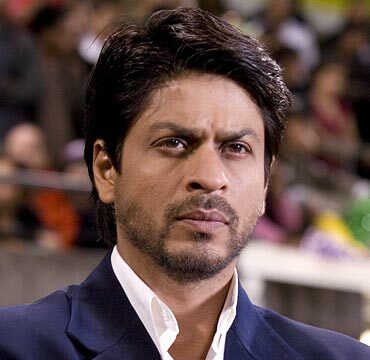 Though not a full-fledged daadi, Shah Rukh Khan looked rather swell in a few-days old stubble as the no-nonsense coach of an all-girl's hockey team in Shimit Amin's engrossing celebration of triumph of spirit. Interestingly, seven years before Chak De! India happened, SRK played a pathan in Kamal Haasan's abstract period drama, Hey! Ram. For his cameo appearance, however, the superstar chose to paste an artificial beard. Who's the best man for Deepika?